I never intended to visit Bellevue, an upscale bedroom community of Seattle. But sometimes in life it’s those chance experiences that become the most memorable and through which we learn lessons both about travel and life. I planned on a quick jaunt to the Seattle area in between projects to use the time to finally visit an area essentially new to me. Although I’d been to the Seattle area in the past, I never had time to do all of the touristy activities I wanted to enjoy, and this was finally my chance to correct that travel oversight. The problem was that I visited at the very height of tourist season and if the hotel wasn’t already sold out, it was priced way out of what I felt was reasonable. So, like any good traveler, I started to expand my search and lucked upon the city of Bellevue. The result is that not only did I get to experience the best of Seattle, I also had the opportunity to explore Bellevue, which I would never have otherwise done. Here’s what I discovered and why I think this concept of add-on cities is one to consider. Few cities in the country have grown at the rate Bellevue has in the last ten years or so. Home to scores of businesses though, it’s no surprise that along with the rapid influx of people has also come shops, restaurants, cafes and more. 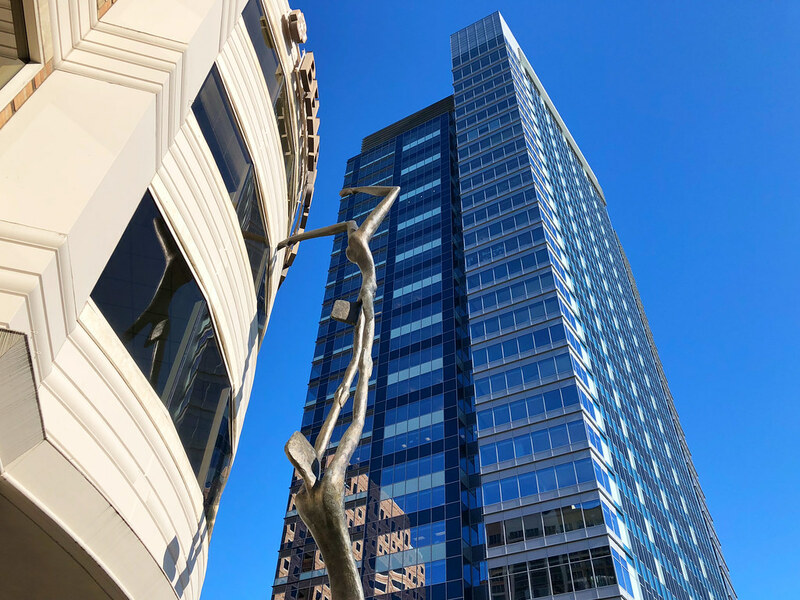 Bellevue itself is home to several well-known companies, like Expedia, and nearby Redmond is of course home to Microsoft, Nintendo of America and more. That means it’s not only a booming community, but also a largely upscale one, reminding me of a type of suburban Georgetown. There’s a lot more to Bellevue of course than nice stores, and I was excited to set out to discover what makes it tick. 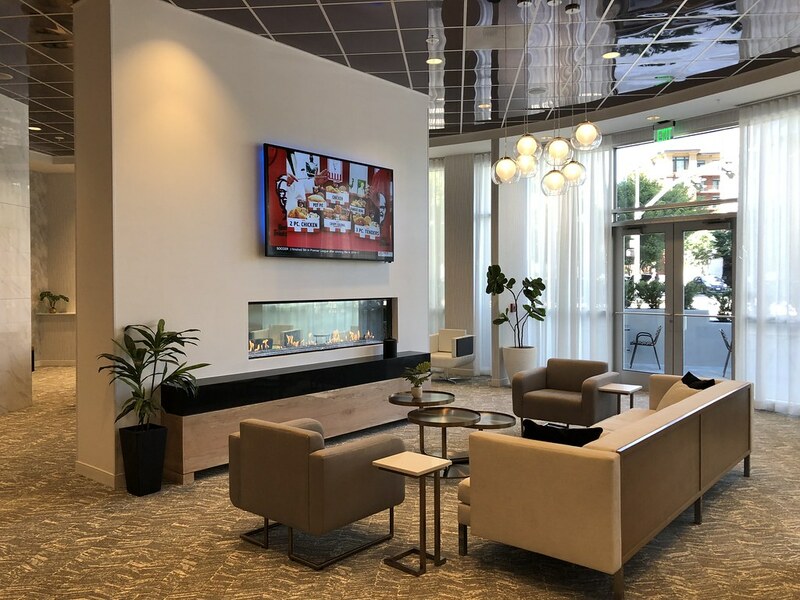 As an affirmed travel geek, there’s nothing better than a brand new hotel and in Bellevue that meant a luxurious stay at the new Hilton Garden Inn. I was surprised by every aspect of my stay at this decidedly upscale and stylish hotel in the middle of Bellevue. I honestly wasn’t expecting that. I thought that the stay would be comfortable and nice, but instantly every expectation I had was exceeded and embellished. The public areas are incredibly modern and very well designed and the on-site restaurant, 47 North Bar + Bistro, offers an incredible menu featuring the best of the region. The rooms are extremely well appointed and I was thrilled with every aspect of the stay. I spent a lot of time waffling between hotels, but I couldn’t have been happier with the Hilton Garden Inn in all honesty. There’s actually a lot to see in Bellevue itself, starting at the large Bellevue Botanical Garden. This 53-acre park includes display gardens, wetlands and forests. It’s a fun place to wander around, enjoy the time outside while also seeing some fairly incredible displays. Since it’s so large, guided tours are available, although I think it’s fun just to explore without an agenda. If you time it right, also be sure to stop by the Bellevue Farmer’s Market. 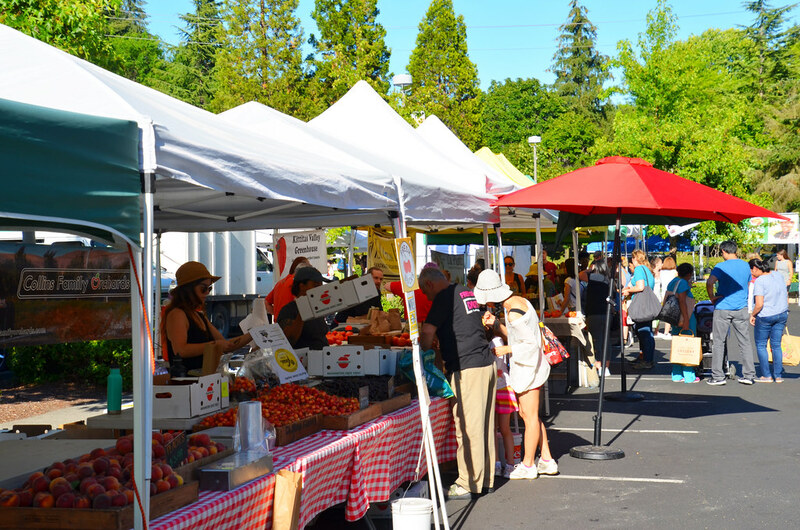 This seasonal market is held on Thursdays and includes a fun variety of vendors offering everything from the traditional fruits and veggies to wines and incredible pizzas. It’s a fun way to feel like a member of the community, if only briefly. Urban green space is the trend in Bellevue and for a slightly different experience, there’s the Bellevue Downtown Park. The 21-acre park features a half-mile promenade and even a waterfall that cascades into a large pond. This spot is especially great for families, with a children’s play area and great spots for picnics. I personally think that food is at the heart of the Bellevue experience, thanks in large part to some very creative folks adding a lot to the culinary scene in the city. Here are the spots I enjoyed while in Bellevue. 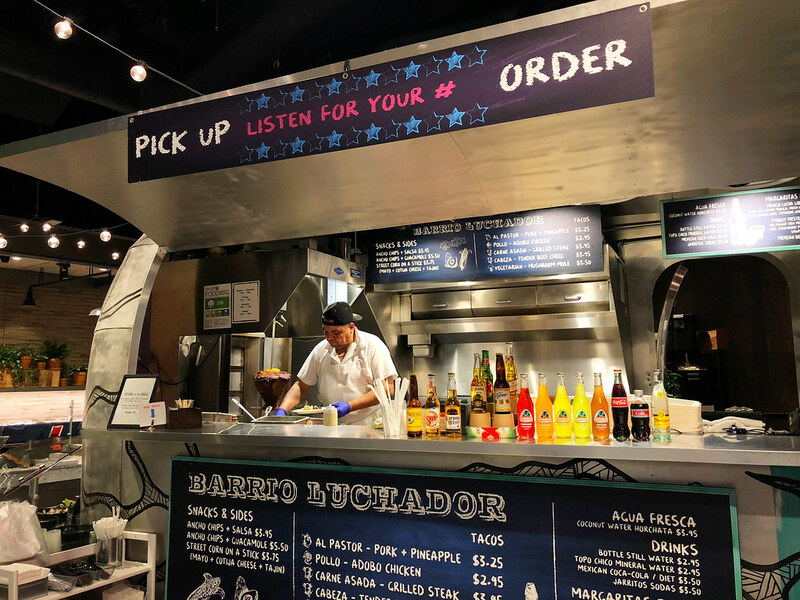 Lincoln South Food Hall – Yes, this is inside an upscale mall BUT hear me out on this one, it’s not to be missed. Far from being a food court, this newly opened food concept is lead by a team of star culinary talent and features a variety of outlets that while different, still enjoy a cohesive design. 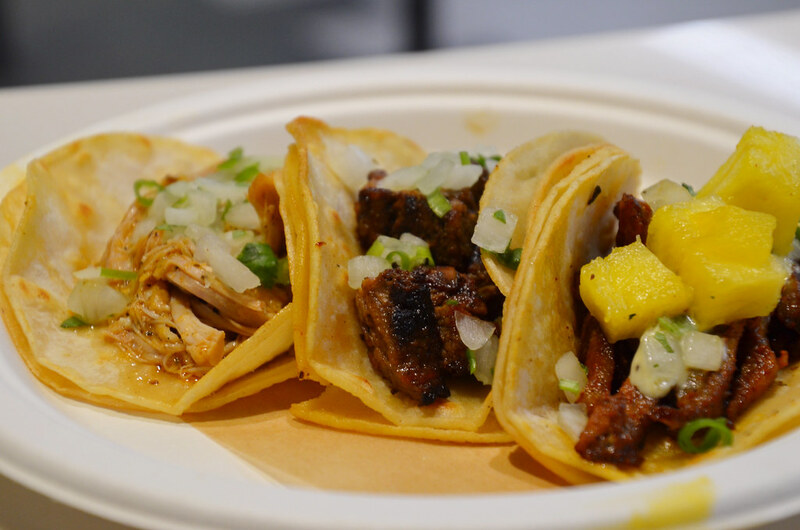 Choose from street tacos at a mock food truck, burgers you’ll never forget and an avocado and poke bar (this is the Pacific Northwest after all). For something a little more formal, be sure to book a table at the incredible Ascend Prime Steak & Sushi. With views that seem to go on forever, the food is just as memorable as the scenery. The star of the show here is the massive showcase kitchen that features an exhibition grill where woods are used to cook the fish, game and of course steaks. It’s an incredible culinary experience that’s not to be missed. 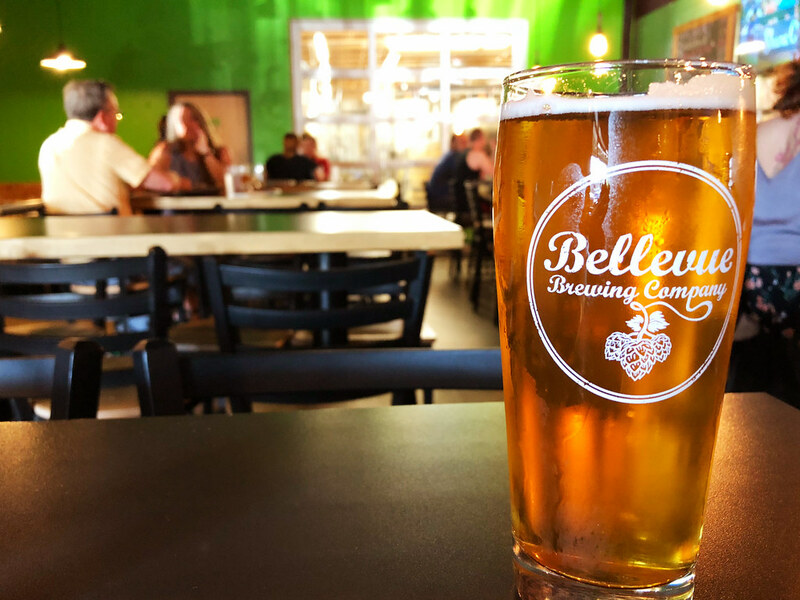 Bellevue Brewing Company – For something a little more low key, I can’t recommend the brewing company enough. The city’s first locally owned brewery, it started business only in 2012 but has already made its presence felt in the community and well beyond. The large taproom is the ideal place to enjoy any one of their delicious brews, as well as a large menu featuring twists on American classics. It’s just a fun place to hang out for a while, enjoy what is truly delicious beer as well very well prepared food. I had the opportunity to meet with the brewmasters for a few minutes, and their passion for the product was clear immediately and certainly is seen in the beer. Finally yes, even though I did all of this and more in Bellevue I was still able to enjoy a full and robust travel experience in Seattle as well. There are several ways to reach Seattle from Bellevue, but for simplicity’s sake I just took an Uber to and from the cities. 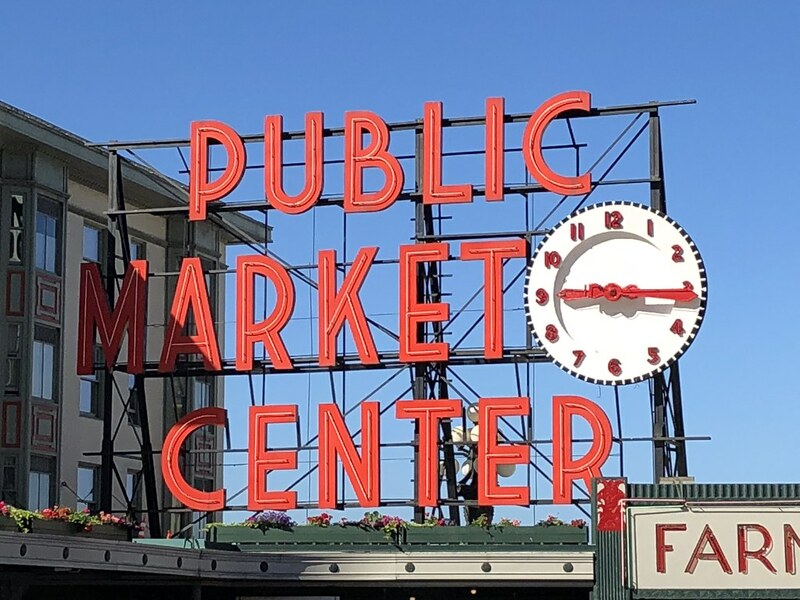 During my day in Seattle I experienced everything that was on my to-do list, as I shared in this recent post. In the evening I returned to my haven in Bellevue for a different but still fun experience. Overall, it was a fantastic way to combine destinations. This is my first time investigating the merits of a so-called add-on city, but I enjoyed the initial experience. While not always practical it certainly has its merits and provided me the opportunity to learn more about Bellevue, a city I would never otherwise have visited. Bellevue, one of my favourite destinations! Thank you for posting this!